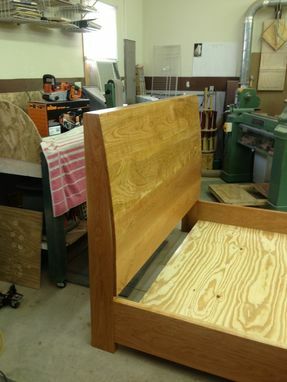 After the customer contacted the craftsman, they met in the craftsman's shop to talk and work out the specifics of the Cherry Queen Size Bed. 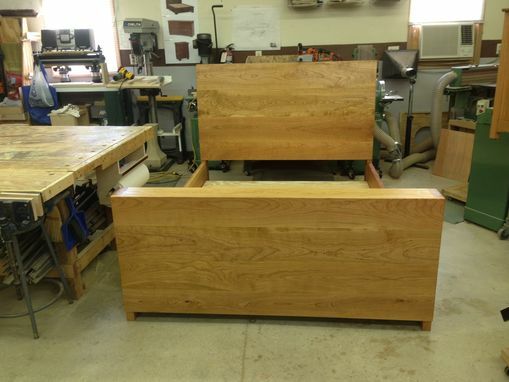 A trip to the craftsman's storage unit was made to allow the customer to hand select the cherry boards that she wanted for her bed. 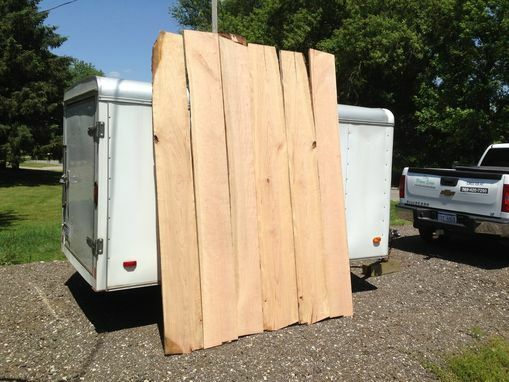 The customer specified that she did not want any plywood but solid cherry in the construction of her bed; this created a challenge as she also wanted a curved headboard. 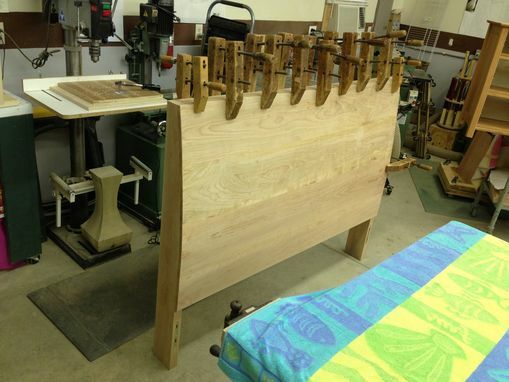 Several experiments were done by the craftsman with a wood similar to cherry and the results were sent to the customer for comments/suggestions/improvements...a final design technique to construct the headboard from solid cherry was finalized. 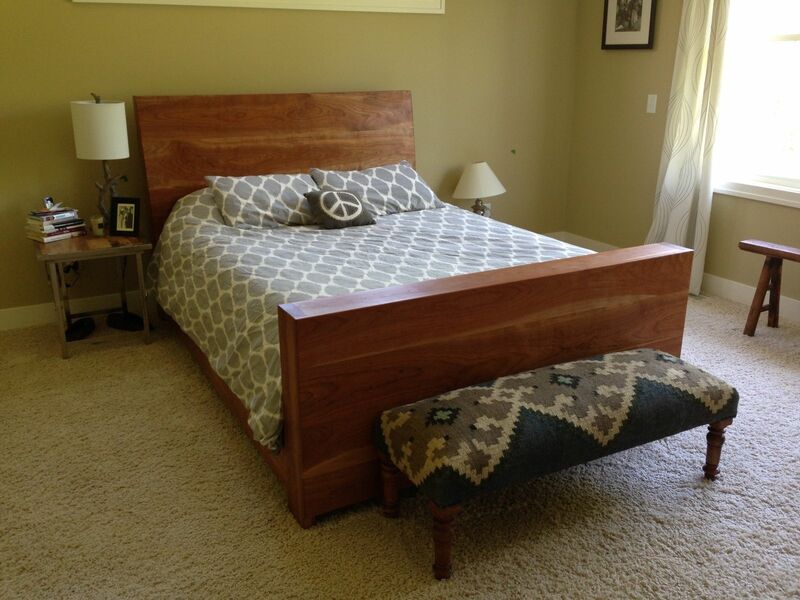 The photos show the success of the construction and the customer was completely satisfied. The Cherry Queen Sized Bed received a liberal coating of a 50/50 mix of Danish Wood oil & a satin polyurethane, following by a buffing with a high quality wax. 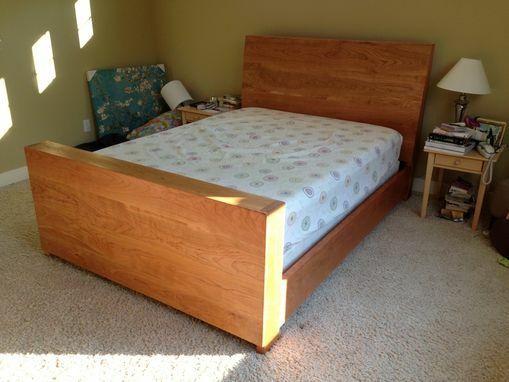 Finally, the Cherry Queen Size Bed was delivered & assembled in the customer's home.